Cut off from all communication, the survivors begin a desperate search for a safe haven. Simon and Judith struggle to keep the peace as tensions rise between the stranded passengers, the crew, and the volatile old captain. With resources running low and storms increasing in ferocity, they're about to encounter a threat more dangerous than the sea itself. Find out how the Catalina's journey began in the action-packed prequel to the Seabound Chronicles. 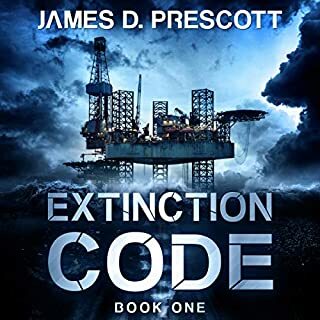 This full-length novel can be enjoyed on its own or after any book in the post-apocalyptic Seabound trilogy. This was the first story of the Seabound Chronicles that I read and I'm so very excited to be at the beginning of this series! I love the horror genre and am particularly interested in apocalyptic stories. This is the first one I've listened to (of very, very many) that takes place almost entirely at sea. The idea of banning together on an cruise ship to attempt to deal with an apocalyptic situation was very interesting to me. By the very nature of the plot, a certain group of people are forced together to try and survive. A new hierarchy will need to be formed, a new police force, a new medical team, a new system for living, a new... society will need to be established. 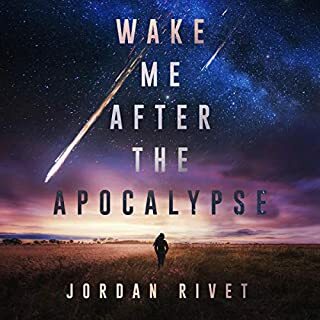 I thought Jordan Rivet did an incredible job of packing this story with action and characters I was desperate to follow. Ray Greenley delivers a wonderful performance in narration. I would recommend this story to anyone at all who enjoys action content. This is a truly great one! Yellowstone blows and no one seems to not notice. That's a bit hard to believe, but wait. So you hop aboard a cruise ship and barely escape. You drift around awhile, no one will let you ashore or help out. You manage to find 9000 gallon fuel tanks lashed to the deck of a wrecked ship and get them off and aboard your cruise ship in a storm. Later somewhere in China you go ashore and find everyone starving and martial law in place. Running to escape you find a barrel of rice in the alley and decide to bring it along. These and many other conveniences, contrivances and just odd plot lines make this book a bit of a struggle to digest. This is a prequel, but it doesn't inspire me to listen to any subsequent books. I found myself wondering when it would end and if I could make it through. None of the characters are particularly likable and have generally bad attitudes and issues. Some of the more interesting ones are killed off leaving the dregs to trudge along. The book is very well narrated by Ray Greenley so there's that. Was a very interesting listen. Great performance. Makes you think. Look forward to hearing the rest of the series. I'm really glad this prequel was added to the series. It adds depth and contrast of the characters that we have only understood to a point before this part of the puzzle came along. This was a wonderful prequel. 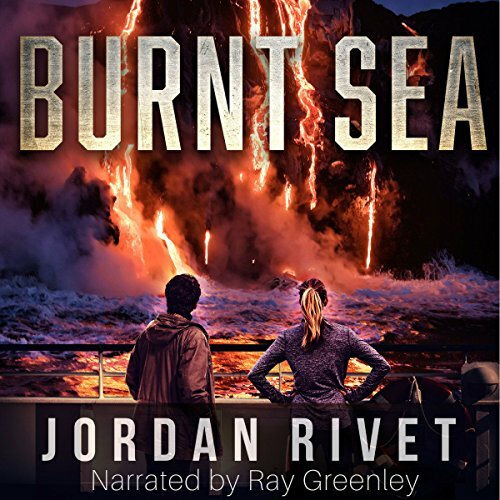 Burnt Sea by Jordan Rivet is the prequel to the series called Seabound Chronicles. Simon, a history professor, is taking a walk on the boardwalk with his daughter, Esther, as he ponders his dissatisfying life. Judith, a highly ambitious college student, is also on the boardwalk on a run before her dream interview. Suddenly, billowing clouds of ash take over the sky, sending everyone fleeing in panic. Simon, Esther, and Judith escape aboard a cruise ship called the Catalina. On the ship, adrift at sea, the passengers and crew begin to slowly gather information about what is happening on land. The world has changed. A supervolcano in Yellowstone erupted, spreading death and chaos across the world and remaking reality with a sharp focus on survival. As Simon and Judith inadvertently take charge of the Catalina’s passengers and crew, they must balance tensions on the ship as they search desperately for a safe harbor for their boat of refugees. This was a wonderful prequel. Having read the Seabound Chronicles, it is great to get the background on how the disaster started and how the relationships between the passengers on the ship were first born. The characters of Judith and Simon are really well developed and really gave context for the development of the characters' personalities and relationship. It also introduces the protagonist of the Seabound Chronicles as a six-year-old girl and the beginnings of her relationship with Judith. As with the other books, it’s a fast-paced and action-packed story with great dialogue between all the characters. I really enjoyed the balance between the professorial Simon and ambitious Judith, as they navigate guiding the passengers through each struggle. Rivet does a great job with crafting a unique but realistic story with the characters at the heart of it. While it is not necessary to have read Seabound Chronicles to enjoy this story, reading it makes it richer, I believe. But reading the Seabound Chronicles after this prequel would also be great. The narration was Ray Greenley was well done as with the other Seabound Chronicle books. It is well paced and has individual characterization. The production quality was good as well. I would recommend this book to anyone who likes post-apocalyptic stories about the struggle to survive in the face of natural disaster. Really enjoyed this book. Great prequel, a perfect start to the series and very entertaining. It pulled me in from the start and held my complete attention until the end. If you haven't started the series yet, definitely start with this book. It adds so much to the storyline. 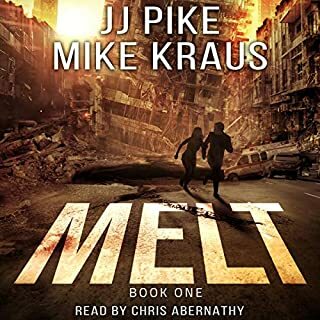 Seabound starts 16 years after the apocalypse and I would have enjoyed that book so much more the first time if I had listened to this book first. One of my biggest complaints about Seabound was not having more backstory on the apocalypse and characters. This book answered all those questions and gives you a better understanding to each of the characters. As soon as I finished this book, I re-listened to Seabound and am looking forward to listening to the rest of the series.. 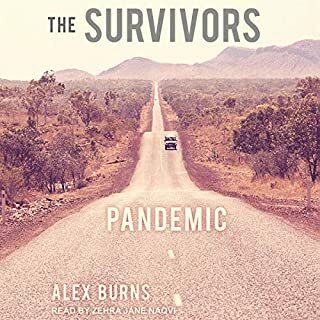 I love all kinds of disaster/apocalypse stories and this one has a bit of a unique and creative twist in that the survivors are trapped on a cruise ship and can't find anywhere that will let them come ashore. The problems they face are similar and much different at the same time. Personally, I think I'd rather be stuck on land no matter what the disaster. Good cast of interesting, diverse and well rounded characters. Both likable and unlikable. Ray Greenly did a really good job with the narration. Nice voice that is easy to listen to for long periods of time. Clearly spoken with a nice even pace. Good character voices. He gives each character a distinct voice and personality. He was able to bring the characters, their emotions and the story to life. Very enjoyable. I hadn't read the main three books of this trilogy and this prequel was my first book. So, I thought, good, I will get to read the story from the very beginning, in chronological order. But after finishing this book, I'm not sure whether I would want to continue with this series. Let me explain. I like disaster / survival stories when they are plausible / close to reality. It makes the reader think &quot;damn, that could happen with me&quot; or &quot;how will I act in this situation&quot;. But this book fails in that regard. The initial setting of Yellowstone explosion and public's reaction to it is kinda unbelievable. And from that point onward, it keeps getting more n more ridiculous. The survivors keep getting lucky at every corner and keep finding resources to keep them alive and going. Why listening to their &quot;struggle&quot; and &quot;lucky breaks&quot;, I kept saying to myself &quot;well, isn't that just convenient&quot;. It took away all the grit from the story. Once I figured out the &quot;always getting lucky&quot; formula of the book, it was pretty easy to predict what's going to happen next. The story pretty much followed the formula and rarely deviated. All in all, pretty disappointing. Wow, what a great story! We've all seen documentaries on the Super Volcanoes and the dire consequences of such an explosion, so this was particularly scary in its realism. No WWIII, no zombies - just people battling Mother Nature (and sometimes each other) for survival. With food and fuel running low, eleven hundred people aboard a cruise ship will be put to the test. What fate awaits them? Listen and find out! I wasn't familiar with this series before I listened but it didn't hamper my enjoyment one bit. I loved the story and the diverse characters. In similar circumstances, I can't even imagine their terror and don't know how I would have fared. Ray Greenley did a great job with the narration, giving life to the story and keeping me engaged throughout. Burnt Sea: A Seabound Prequel: Seabound Chronicles was a great listening experience and I would recommend it. Having just been stuck on a cruise ship due to Hurricane Harvey, this book was quite interesting to me. Granted, I had a vastly different experience and the things in the book are pretty far fetched. If you take this book for what it is, fiction, and just allow yourself to enjoy it, it is pretty good. The narrator did a good job of bringing the story to life. I'm definitely interested enough to go for the other books in the series, since this is apparently a prequel. When the sky over San Diego boils with a cloud of dust and ash which smothers everything and everyone it encompasses, Simon, who'd been walking with his six years old daughter by the ocean front, grabbed her hand and ran to the only hope of safety he could see - the just departing cruise ship, the Catalina. Just behind him, Judith, an ambitious college student, follows. Leaving the land and death behind them, the ship and it's 1,000 or so passengers heads for the relative safety of the ocean. Expecting only to be aboard for a short a time, Burnt Sea follows the lives of those on the Catalina as they search for a safe landing place, not knowing that disaster has struck worldwide. Well written with good characterisations drawn of the main protagonists, the story is both gripping and surprisingly realistic as Simon tries to keep morale high despite the obviously increasing degeneration of their circumstances. The book is the prequel to a trilogy set some years after this initial escape to the sea from a world increasingly, and dramatically, unable to sustain life on the land, and it avoids the obvious dangers of over sentimentality. 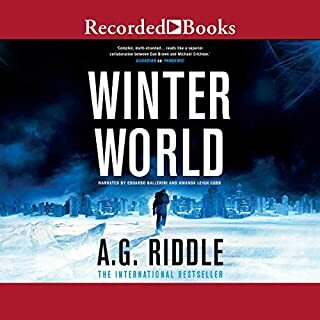 Read by Ray Greenley, who's narration is clear, well paced and perfectly tailored to the story text, the individual characters are further enhanced by his voicings for them. Always personality distinct, Mr.Greenley helps injects emotion into their responses, never too extreme, but fitting the situation. An excellent performance. It is not necessary to have read this book before proceeding with the first volume of the trilogy but it is a very interesting addition to know how it all began.